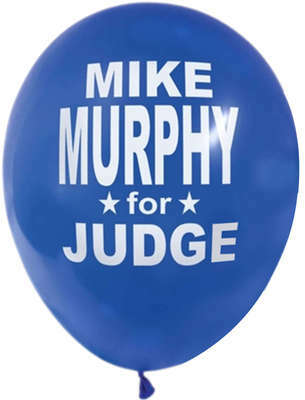 Do the personalized balloons arrive inflated or deflated? How do I buy or rent a helium tank? What is the float time for your helium latex balloons? When you say your balloons are 11 inches, how do you measure it? It will be impossible for us or any other balloon printers we know to deliver logo balloons inflated. As a custom balloon printer that ships all over the country, Promotion Choice ships using a courier service such as Fedex, and it will be cheapest and most expeditious for customers to receive their balloons deflated. If we were to ship them inflated, we would have to pack 1 inflated balloon per box, and it would cost thousands of dollars to ship a small order of say just 100 balloons! Moreover, the helium will all escape by the time the balloons arrive. Promotion Choice and most balloon printing vendors we know do not sell helium tanks. However, these can be easily purchased either from online stores such as eBay or Amazon, or at stores close to you such as Target and Walmart. A 50 CU Ft disposable tank will cost approximately $50.00 and will fill around 50 11” latex balloons. For larger balloon orders, you will have to look for helium tank rentals, and a quick online search for local helium tank rentals and your zip code should bring up a list of possible vendors. How to Properly Inflate Printed Balloons for Optimal Float Times? The best way to illustrate this is probably with the illustrations below. The left most graphic shows a balloon with too little helium inside the advertising balloon, and this will reduce float time substantially. The middle graphic shows way too much helium this builds too much pressure and may cause the balloon valve to pop out thus allowing helium to escape and again reducing float time. The third graphic shows a properly inflated balloon. This maximized float time and balloon life! How Balloon Printers Measure Latex Balloons? Vendors across the United States measure latex balloons when they are fully and properly inflated. The below photograph shows a red 11” balloon that has been properly inflated. 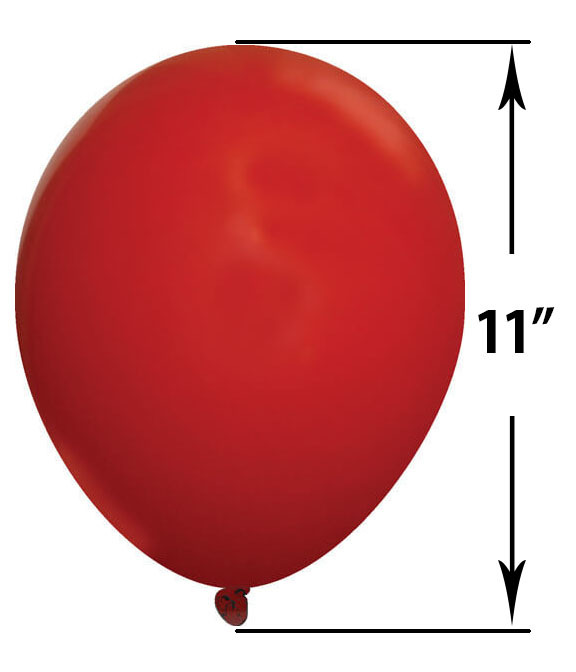 The height of the inflated customized balloon is measured, meaning from the top of the balloon all the way to the end of the valve should measure approximately 11” (+/- 1” or so, depending on amount of helium used, since latex is an elastic material). With all of this information, you should be armed with all the information you need to get the longest and the most use out of your custom latex balloon order for your parties, or your marketing or promotional events!